The North Carolina Bankers Association (NCBA), a trade group acting as a legislative liaison at the state and federal level, was formed in July 1897 at a meeting held by the leaders of 22 North Carolina banks. 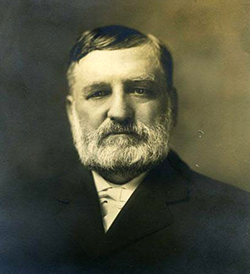 Rocky Mount banker Thomas Hall Battle (son of Kemp P. Battle, president of the University of North Carolina and state treasurer) was the principal organizer. Battle was elected the first president of the NCBA, and Samuel Fox Mordecai, dean of the Trinity Law School, served as the association's first general counsel. In 1922 the office of NCBA secretary was made a full-time position, and Raleigh was designated the site of the association's headquarters. The title later was changed to executive secretary, then to executive vice president, and still later to president. The list of those filling this position includes Paul P. Brown (1923-40), Fred W. Greene (1944-50), Jesse A. Helms (1953-60), T. Harry Gatton (1960-81), Alvah D. Fuqua Jr. (1981-86), and Thad Woodard (1997- ). The NCBA began a unique banking education experience in 1937 at the University of North Carolina in Chapel Hill. The first state banking school in the nation, it was widely copied by other banking associations. The North Carolina School of Banking was followed in 1970 by successful efforts to cooperate in establishing the Southeastern Trust School at Campbell University in Buies Creek. In 1997 the Community Bankers Association of North Carolina merged with the NCBA; the new organization continued to be known as the NCBA and operated under its original charter. The NCBA offers educational and training programs and other services to its member institutions. The organization also publishes Carolina Banker magazine and operates the Community Investment Corporation of North Carolina, which provides long-term, low-cost financing for low- to moderate-income, multifamily developments in the state. North Carolina Bankers Association website: http://www.ncbankers.org (accessed November 26, 2012). Gatton, Harry. "North Carolina Bankers Association." The E.S.C. Quarterly 24. No.3-4. 1967. http://digital.ncdcr.gov/u?/p249901coll22,451960 (accessed November 26, 2012). "North Carolina Bankers Association." North Carolina Highway Historical Marker Program. http://www.ncmarkers.com/Markers.aspx?ct=ddl&sp=search&k=Markers&sv=C-48 (accessed November 26, 2012). "Photograph, Accession #: H.1957.79.62." 1910-1920. North Carolina Museum of History. 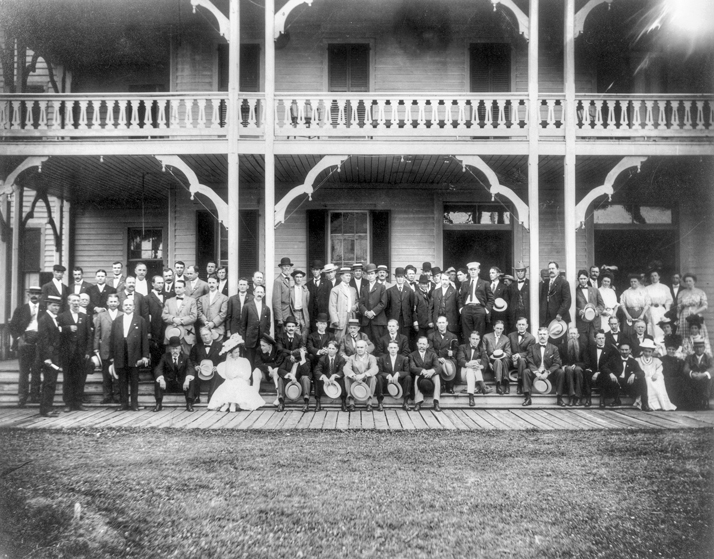 Members of the North Carolina Bankers Association at the Atlantic Hotel in Morehead City, June 1908. North Carolina Collection, University of North Carolina at Chapel Hill Library. I am trying to find information on a bank that was in Farmville, NC that closed during the Great Depression. I have been told it was called Citizen Bank. I can find no info on this bank and would appreciate any information on this bank. I do not find anything that gives an immediate answer to this question. If you are still looking for this information, please reply and we will forward your question to reference librarians at the State Library of North Carolina. I have also replied to you via the email address you left with your comment.